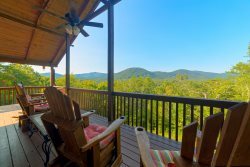 Lake Rentals within 30 minutes of Helen, Georgia. Lake Burton consists of 2,775 acres and is owned and operated by the Georgia Power Company. Lake Burton is the ideal habitat for Spotted Bass, Largemouth Bass, White Bass, Crappie, Bluegill, and many more species of fish. Boating, Water skiing, Jet Skiing, Swimming, Biking are among the top activities enjoyed at Lake Burton.